Tom Hardy is known as a tough guy who has played various roles in films. He is well-loved despite showing a tough character all the time. 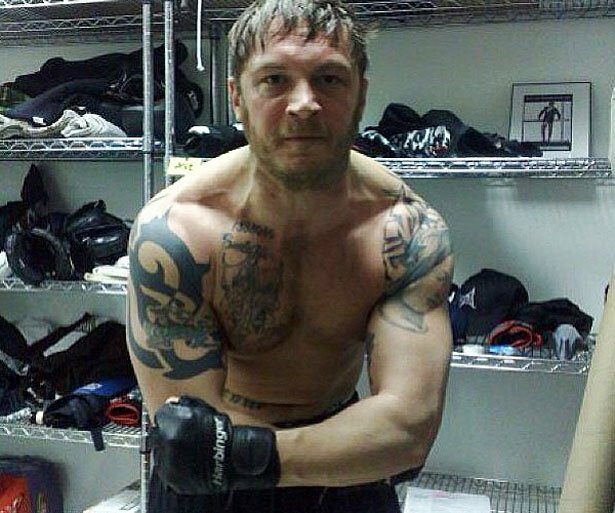 Tom Hardy’s tattoos don’t do anything to soften his image, but he still has a huge following. If you go deeper into the meanings of those tattoos, you will love him even more. Tom Hardy has a Madonna tattoo on his left arm. It was quite a sentimental choice. He said that he got one as a symbol of how he became both a father and a mother to himself. Tom says the wolf is an important animal to him. He got one as inspired by The Revenant, a film in which he stars alongside Leonardo di Caprio. Aside from the wolf, he also considers a raven as an important animal. He even had one just right above his chest. 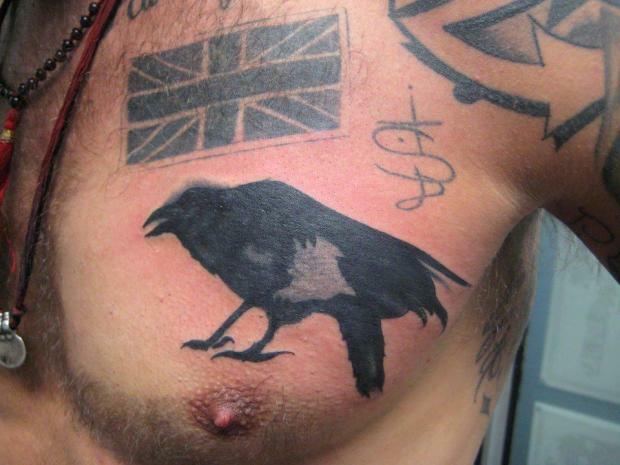 When it comes to tattooing his body, Tom Hardy seems to have no boundaries. He already has a lot going on in the chest and arms area. 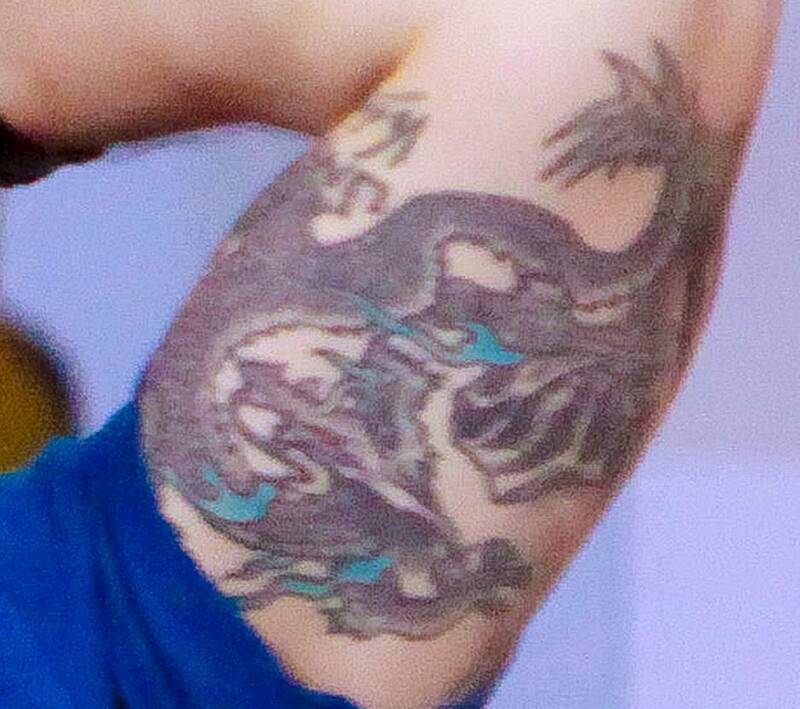 The dragon tattoo was a symbol of his love for his ex-wife, Sarah. She was born in the year of the dragon. The Great Britain flag which is totally visible on his upper chest just right above the falcon is a symbol of pride for being British. Regardless of the number of tattoos he has in his body, Tom Hardy remains hot. If anything, those tattoos even make him hotter. He has played a tough guy in various films. The tattoos in his body made his portrayal even more believable. Aside from the dragon tattoo, he also had the “Till I die” phrase written from his waist towards his belly button. It was meant for his ex-wife, Sarah, whom he was married for only a few years. Tom Hardy just couldn’t get enough when it comes to tattoos. 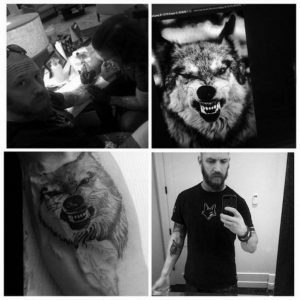 He has even proudly shared some of the images taken while he was being inked.